Thanks so much for the gift we discovered at our front door. My mother passed away over twenty years ago, but she has left me a legacy of memories, not the least of which are aromatic treats, both sweet and savoury. 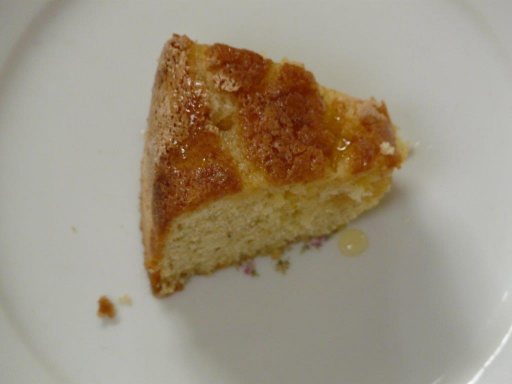 I was happy to discover the recipe for Bitter Almond cake in one of her cookbooks, and I used to get bitter almonds from Johnvince. 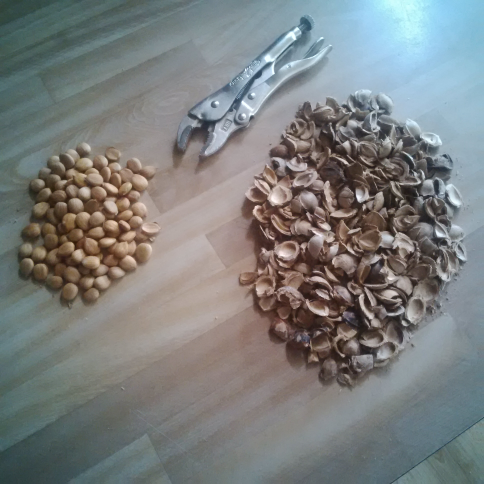 When they stopped carrying them due to a Health Canada restriction, I was relieved to find that apricot pit kernels were a good substitute, so early summer days I forage for the fallen and otherwise unwanted fruits on neighbourhood lawns, and in the cemetery. The reward is the unusual aromatic, sweet and lemony, slightly bitter cake I remember so fondly. Preheat oven to 375º. Grease and flour 9″ tube pan. Sift and mix flour, baking powder, salt and ground almonds. Beat egg whites and gradually add half (¾ c.) of sugar, til glossy and soft peaks. Beat egg yolks with remaining ¾ c. sugar, beat in oil, lemon rind and orange juice. Fold in dry ingredients until just blended. Fold in beaten egg whites. Pour into tube pan and bake 35 min. in centre of oven or until toothpick comes out dry. Meanwhile, heat lemon juice + juice of orange with icing sugar on top of stove to form syrup. Cool cake slightly on a rack, then transfer to a serving plate while still warm. Pierce cake liberally with a skewer and pour syrup over warm cake. My mother got a recipe and some bitter almonds from a relative in New Jersey back in the late 60’s or early 70’s. D would always send Mom the almonds when she ran out until one day she informed her the bitter almond had been banned. That was the end of one of Mom’s signature cakes. Just before I left the US after my father died, I spoke to D and she gave me the recipe as a ‘memento’. When I arrived back home in England I couldn’t find it! I’ve been through 2 house moves since, I’ve torn every thing apart and still can NOT find the recipe. I’ve had my sister in Illinois look through Mom’s recipe books and she can’t find it. I sit here with a bottle of Bitter Almond extract and NO recipe! 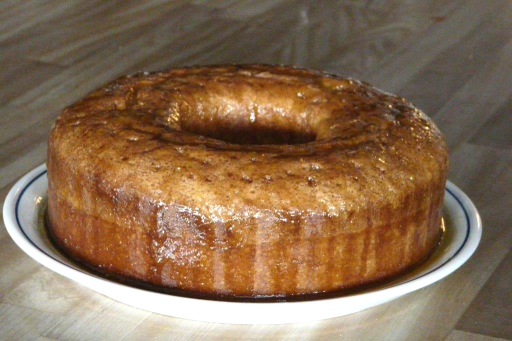 I remember Mom’s was a tall cake, baked in an angel food cake pan, so it had a chiffon cake type of texture. That’s all I can remember even with writing out the recipe. I was under strain, Dad’s funeral, an emotional farewell to my childhood home, and a flight back to my new home. I have been using apricot kernels for years for my amaretti cookies. The apricot kernels are ground and mixed with ground almonds, which gives the meaning to the amaretti – amari means bitter in Italian. Angela, thank you for another interesting use of apricot pits. No wonder I always liked amaretti! You might be interested in hearing that on my last trip to Johnvince Foods we found they were once again offering bitter almonds.